Pat's Scraps: Is it Christmas yet? we're celebrating Christmas in July. Be sure to check out all the DT inspiration at DCD. 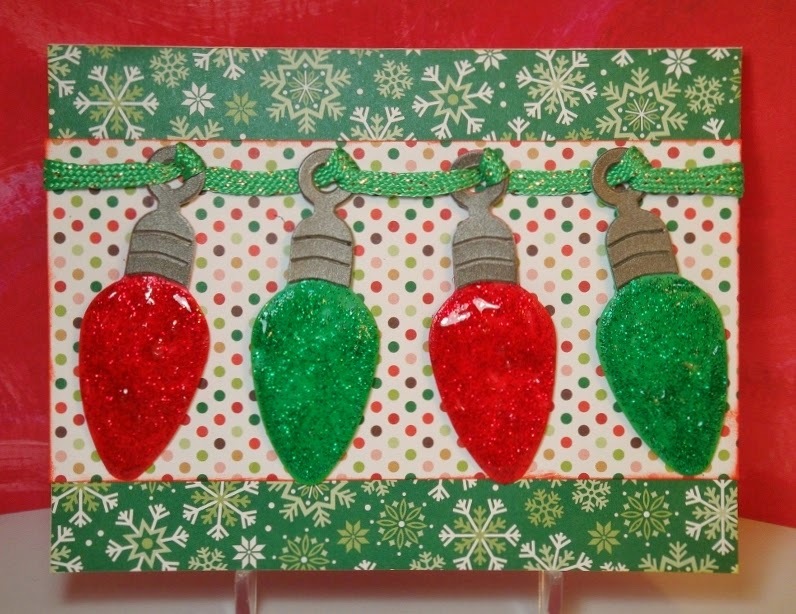 I used a Sizzix die for the light bulbs, covered with lots of red and green stickles, patterned papers from DCWV Christmas matstack, and ribbon on the front. On the inside I used 2 Spellbinders Nestabilities dies, Label 1. 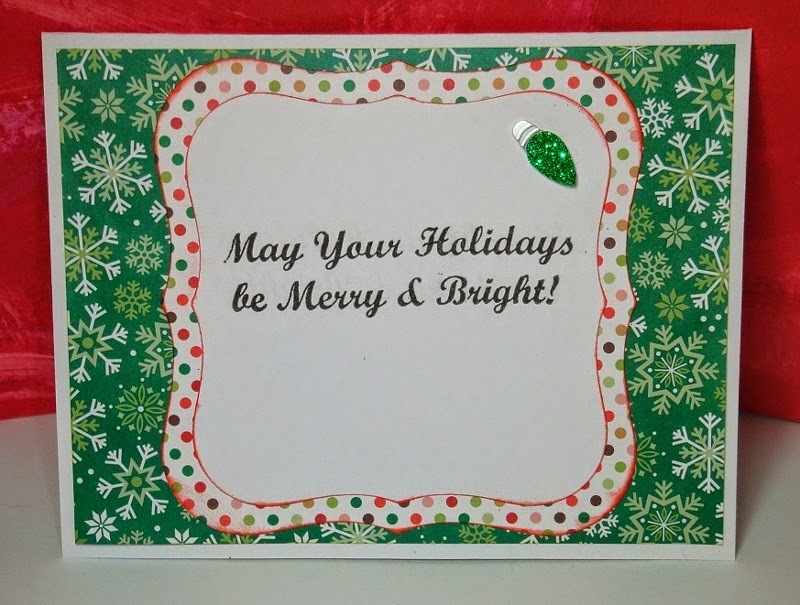 We hope you'll join in the challenge this week and enter your Christmas creation at the Die Cuttin' Divas blog. Be sure to use a die cut and link your post back to the DCD site. Wonderful Christmas card Pat Have a Blessed day, DIANA L.
This is really cute! I feel like making a Christmas Card too! A very sweet card!! Love it! These are great Christmas lights! Great card! Great card, lots of sparkle - my fav!! oooh I love this. Great glossy bulbs with their sparkle. Well done.